Ivy has blossomed into a rosebud of dainty beauty. 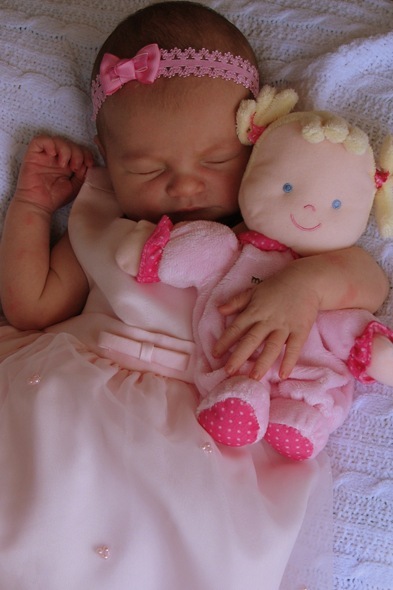 …or clutching her first dolly. Aww! 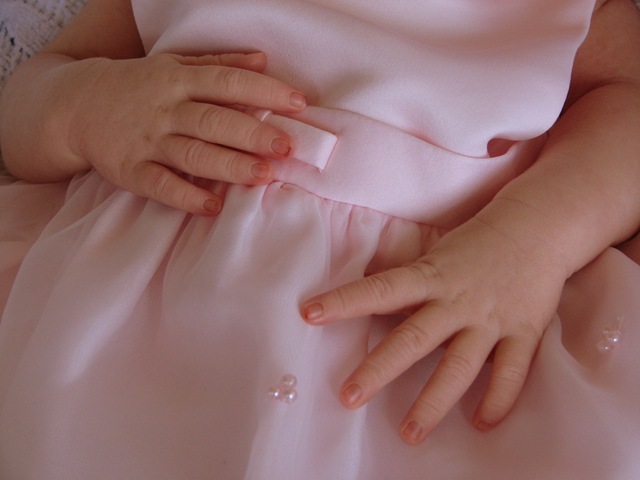 What sweet pictures—I love her “princess dress”. 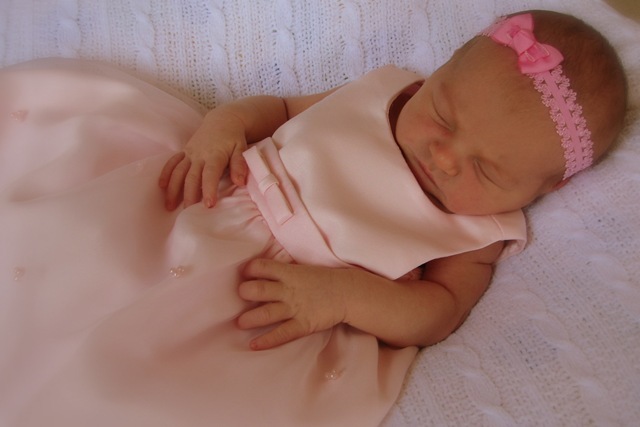 ohh…..you are making me want to have a baby and have it be a girl! She is so beautiful and adorable! Blessings to you, friend!